OCHA’s Strategic Plan presents OCHA’s vision, overarching goals and strategic objectives. A related Management Plan explains how OCHA will strengthen its operations to deliver against this plan.OCHA’s Strategic Plan 2014-17 describes how they will contribute to field effectiveness and reform, focusing on delivering two mutually reinforcing goals: improving humanitarian action in the world’s ongoing crises, and increasing the effectiveness of response efforts by engaging with new partners and promoting new technologies and ideas. In December 1991, the General Assembly adopted resolution 46/182. It was designed to strengthen the United Nations response to complex emergencies and natural disasters, while improving the overall effectiveness of humanitarian operations in the field. The resolution also created the high-level position of Emergency Relief Coordinator (ERC). This new function would combine into a single United Nations focal point the functions carried out by the Secretary-General’s representatives for major and complex emergencies, as well as the United Nations’ natural disaster functions carried out by the United Nations Disaster Relief Organization. Soon after the resolution was adopted, the Secretary-General established the Department of Humanitarian Affairs (DHA). He also assigned the ERC the status of Under-Secretary-General for Humanitarian Affairs, with offices in New York and Geneva to provide institutional support. Resolution 46/182 also created the Inter-Agency Standing Committee (IASC), the Consolidated Appeals Process and the Central Emergency Revolving Fund as key coordination mechanisms and tools of the ERC. 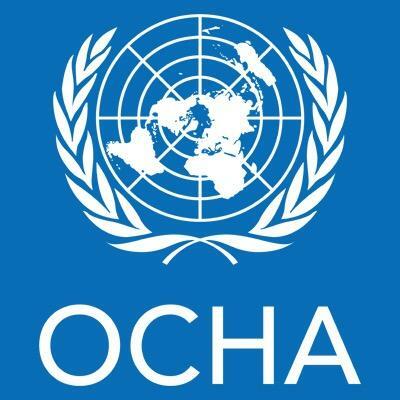 In 1998, as part of the Secretary-General’s programme of reform, DHA was reorganized into the Office for the Coordination of Humanitarian Affairs (OCHA). Its mandate was expanded to include the coordination of humanitarian response, policy development and humanitarian advocacy. OCHA carries out its coordination function primarily through the IASC, which is chaired by the ERC. Participants include all humanitarian partners, from United Nations agencies, funds and programmes, to the Red Cross movement and NGOs. The IASC ensures inter-agency decision-making in response to complex emergencies. These responses include needs assessments, consolidated appeals, field coordination arrangements and the development of humanitarian policies.